Sioux water lily (Nymphaea ‘Sioux’). 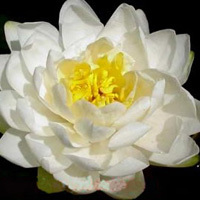 These water lilies are extremely free floweringÂ having plenty of flowers that change from yellow, to orange and then red. Further the petal colour progresses from the lightest centre petal row to the deeper colour of the outer rows with a golden coloured centre. The stellate (star like) flowers have nineteen or twenty lanceolate petals and measure 5-6 in (13-15 cm) across they also have quite a nice fragrance especially when new. 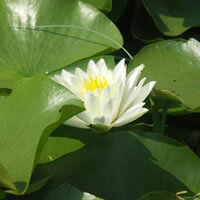 The Sioux water lily performs magnificently and the flowers stay open late in the day. 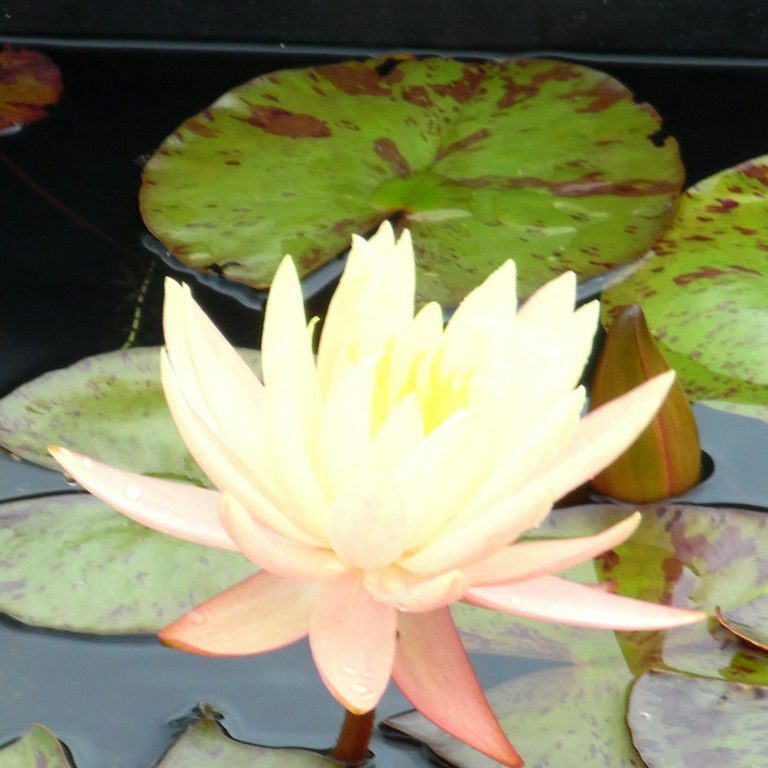 Sioux water lily has rich green leaves marked with burgundy. Almost round in shape and with a wide open, ‘V’ shaped sinus they measure 8-9 in (20-23 cm). 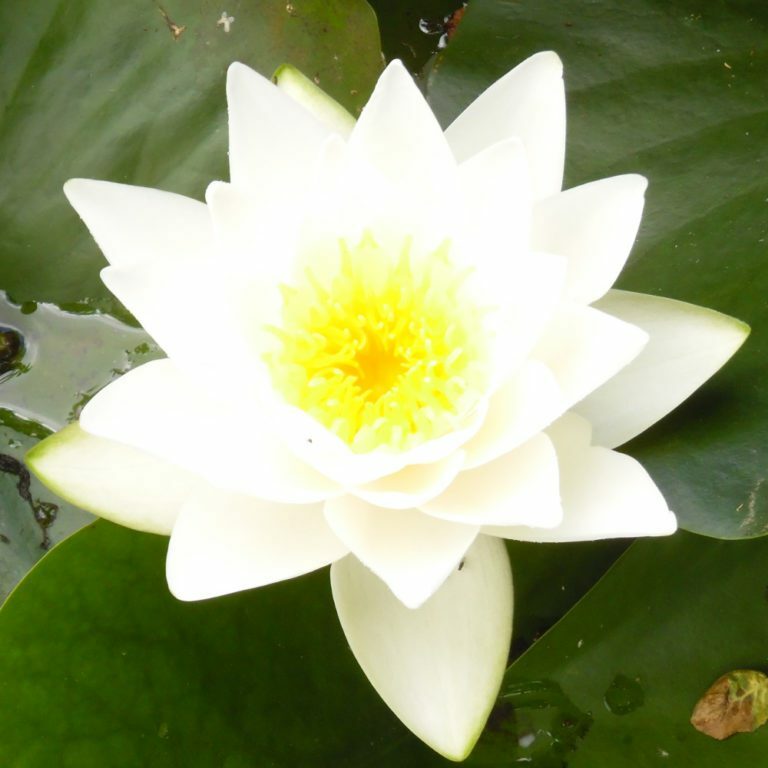 A variable water lily suited to small and medium pools.